Adidas And Kanye West Taking Their Partnership To The Next Level. Kanye West pose for the cameras for Yeezy and Adidas Originals collection. (Source: Elle). Kanye West has already recorded three highly rated fashion shows; three fashion collections; and counted two business years with Adidas Originals. It truly seems "impossible is nothing" to the famous rapper. Busy Yeezy isn't slowing down even with his record earnings from music and fashion. The business mogul is reportedly taking his business relationship with Adidas to greater hieghts. This is the first ever partnership between Adidas and a non-athlete. Both brands are prepared to launch a conglomerate, "Adidas + Kanye West." 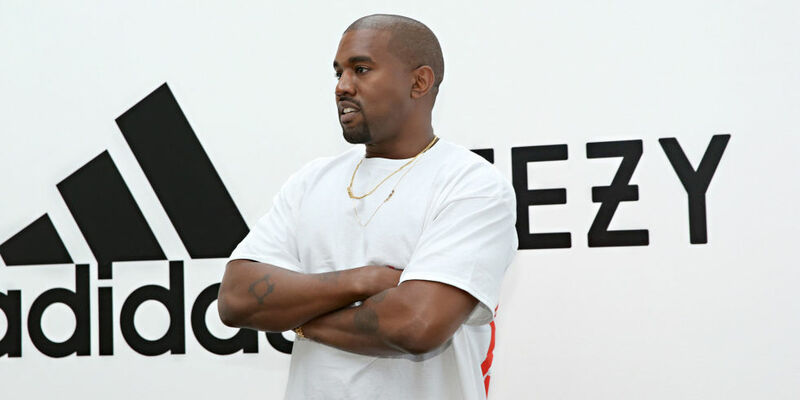 Adidas announced today that the rapper will now get his own team of designers to create Yeezy-branded footwear, apparel, and accessories for men and women beyond street wear. Image: Adidas CMO Eric Liedtke with rapper and fashion designer Kanye West. “These past two years Adidas and Yeezy have given a glimpse into our future. This partnership illustrates that anyone with a dream can dream without limitations,” Kanye adds. Reports say since the Yeezy 750 Boost sneakers was launched back in February 2015, every item the rapper has made with Adidas arrives with buyers asking for more, as stock gets cleared with advance bookings. Kanye and Adidas products have always sold out, so it won’t be a surprise if the trend continues this time with an upgraded partnership. The ever growing demand for Yeezy + Adidas products brought Kim Kardashian in for assistance. She has recently tweeted to people unable to secure their own pair. 4 Comments on Adidas And Kanye West Taking Their Partnership To The Next Level.